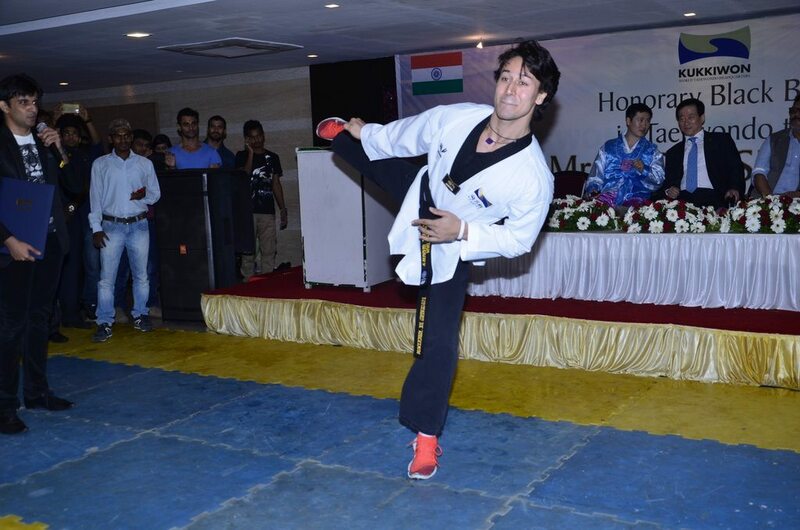 Tiger Shroff is now a Taekwondo master! 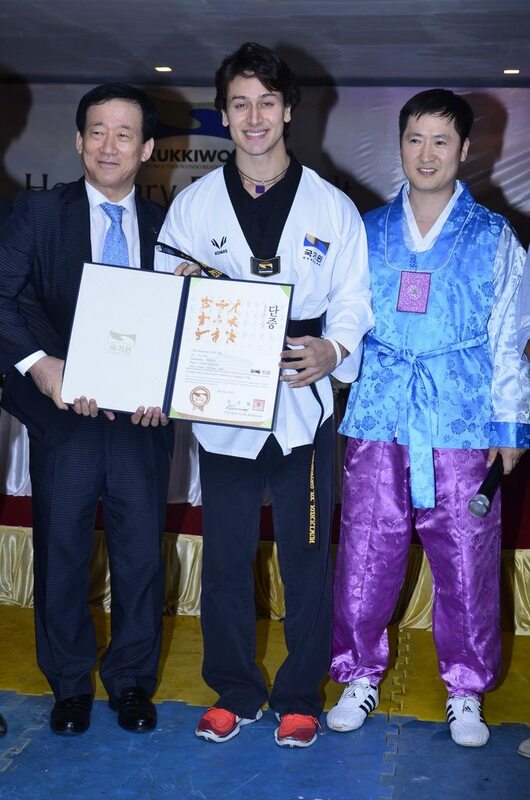 Bollywood newbie Tiger Shroff seems to be scaling new heights – after the success of his debut film ‘Heropanti’ – the suave dancer and gymnast has now been honored with the 5th degree black belt by the official Taekwondo organization of South Korea. 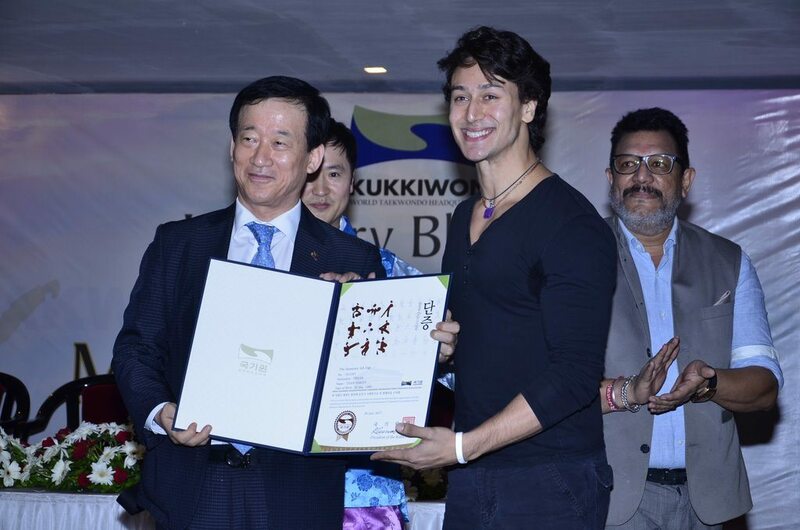 Tiger was awarded at a ceremony in Mumbai on July 30, 2014. 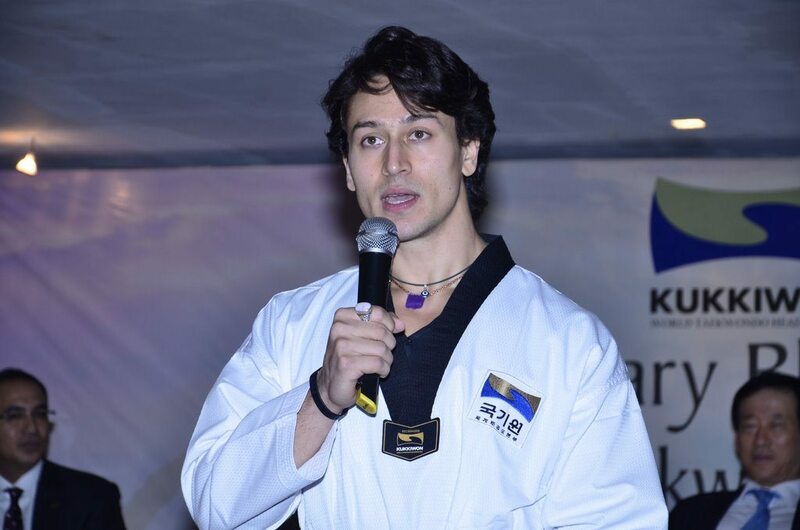 This isn’t the first time Tiger is in the new for his gymnastic skills, while promoting Heropanti, Tiger had wowed onlookers by performing a set of live Parkour stunts. 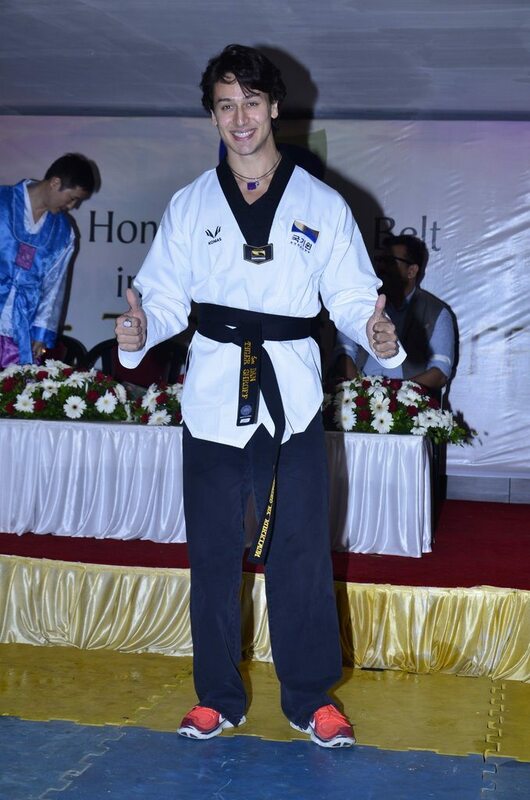 Tiger made his debut in Bollywood with the movie ‘Heropanti’ opposite actress Kriti Sanon. The movie did well at the box office and moreover, Tiger got noticed for his dreamy dancing moves and baby faced innocence. The young lad sure has quite a strong female fan following.